I doodle during classes. So if you happen to be my professor and have noticed me scribbling incessantly on my notebook while you talk, I am not taking notes. I am doodling. But please don't be offended as doodling helps me concentrate on what you are saying. Anyways, here are some of my doodles. 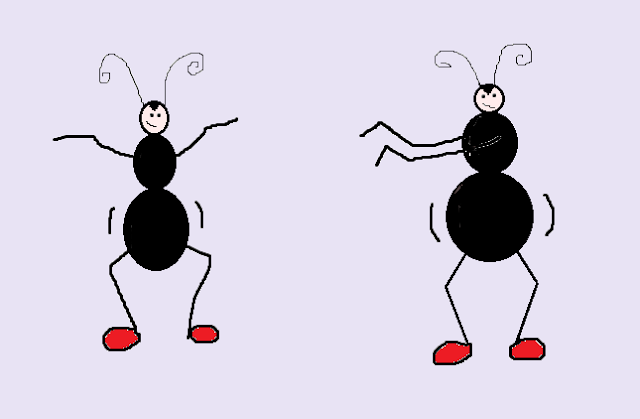 Dancing ants! More to come - Scottish ants and a horse with a bow.